Handy Pen for TIG | Elko G.C. Handy Pen, for an optimal threading through. The Handy Pen optimizes the supply of TIG wire to the welding process and can be held just like any regular writing pen. The wire supply is being controlled by a small feed-through wheel. 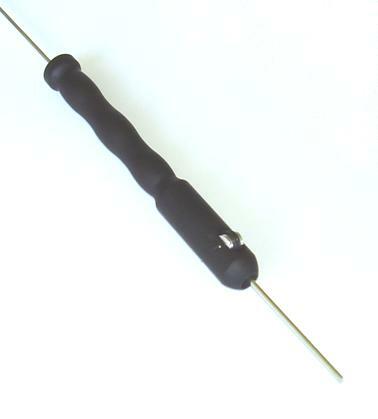 The Handy Pen can be used for wire diameters from 1.0 mm to 3.2 mm. Handy Pen is all about optimized control of the welding process and improved ergonomic working conditions.